I love Pinterest. When I first started using Pinterest, I was on it ALL. THE. TIME. No, seriously I was. Just ask my friends who followed me on Pinterest. I had to quit cold turkey several years ago when I realized I had over 20,000 pins. No, that is NOT a typo. I spent crazy amounts of time spent pinning. Obviously. The past several months I have been easing back into Pinterest because I love the purpose that it serves. Pinterest is an amazing source of inspiration. I love that I can find something that will spark an idea. I love to use it when I’m stuck on a project and can’t figure out what to do next. I love it for all of the helpful information and tips you find there. 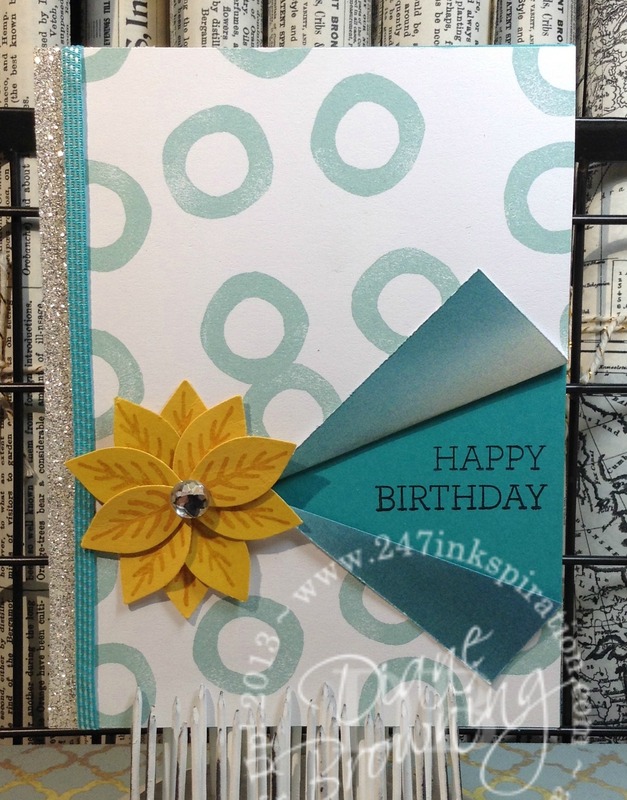 A couple weeks ago, I pinned this card by Bekka from “Feeling Crafty with Bekka”. I actually repinned this card from Pinterest and not from Bekka’s website. I came across it in my feed and I really liked the simplicity and the clean look. I can tell this card has been super popular on Pinterest as it keeps popping back up in my Pinterest feed. A lot of you love this card as well. Would you believe this card has been repinned more than 25,000 times?!?! Amazing job, Bekka! This is my take on Bekka’s card. I don’t usually copy a card this closely, but I wanted to show you that you can take a design and change it to be what you need. This is why we Pin our projects to Pinterest, to hopefully inspire you. I used her layout but changed it to be what I needed, which was a birthday card. Just remember if you do copy someone else’s card to give credit to the artist that inspired you. Are you looking for some Pinspiration? You should follow me on Pinterest. I now have over 25,000 pins, most of which are cards and crafty projects. 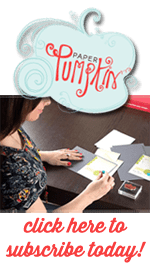 If you’re looking for projects that I have made myself, you’ll want to follow my board called “My Stampin Up Cards and Projects“. If you want to see projects made by others that have caught my eye, you’ll want to follow my board called “Card Ideas“. If you want to see everything that I pin, you can follow me. Here is one of my recent favorite cards that I made that has now been repinned over 3,300 times since I first Pinned it in June. This is the new Flirty Flamingo pink that Stampin Up released in June. You can see the details on this card in this post here. I hope you enjoyed seeing how you can take a card and recreate it with your own supplies. If you want to challenge me to recreate a card idea you see on Pinterest, just message me the pin through Pinterest and I’ll do my best.